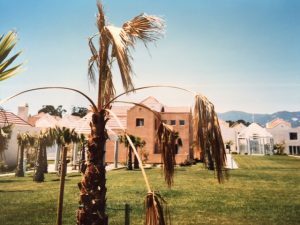 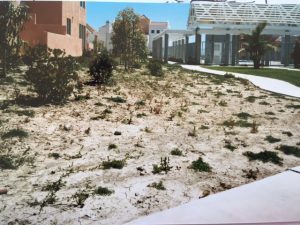 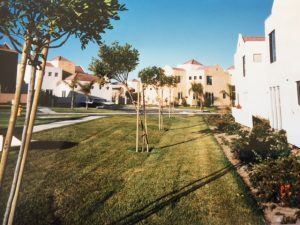 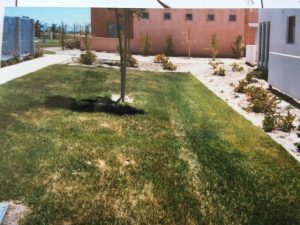 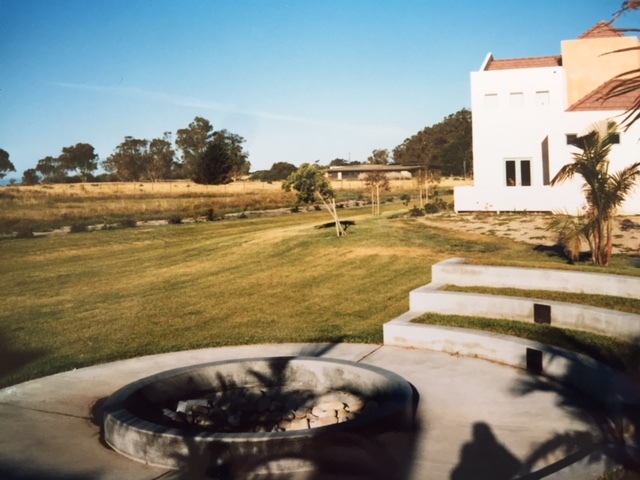 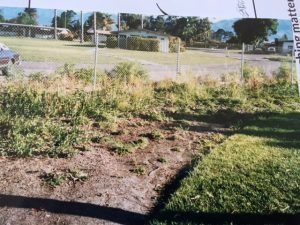 Courtesy of Sarah Cline, we have 10 photos from 1988, showing what the landscaping looked like in the first year after completion of construction. 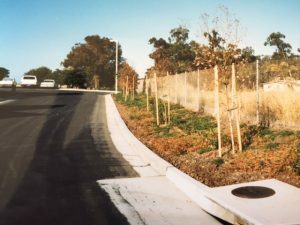 (back to Landscaping page) Looking toward the ocean on the Devereux side perimeter road. 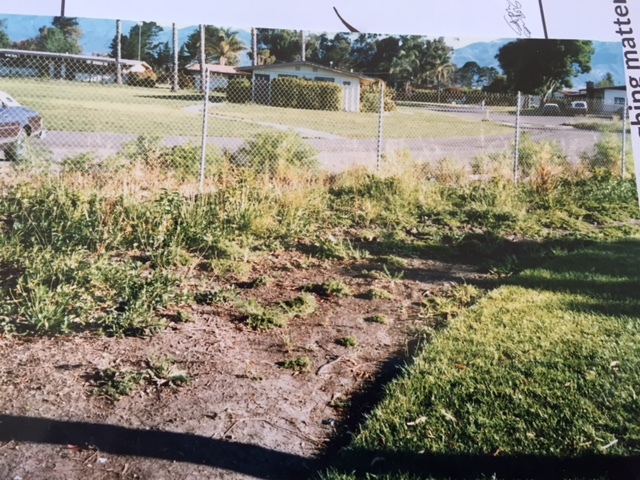 And looking into Devereux through the fence. 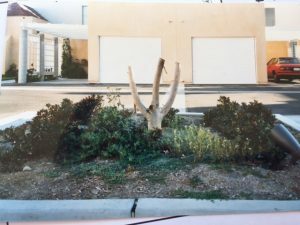 View from Palm Plaza behind the 920s to the parking lot outside 915-916. 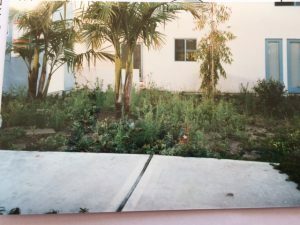 The (Coral?) 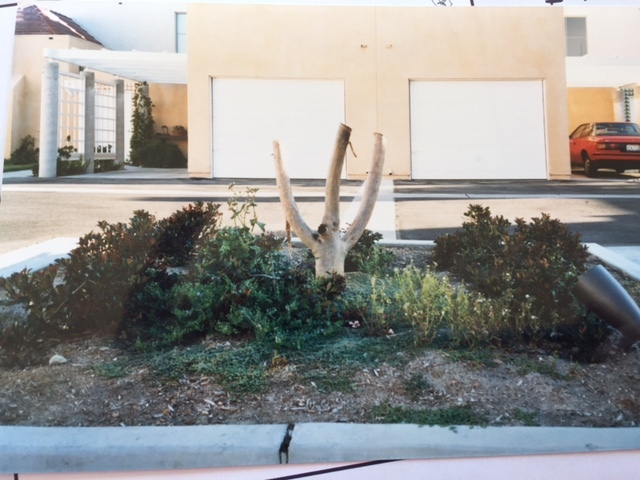 tree in the 910s cluster did not last long. Looking toward the ocean between the pool and the 900s, at unit 907. 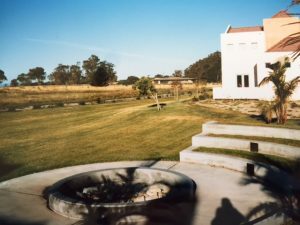 Looking at the pool from between the 920s and 900s. 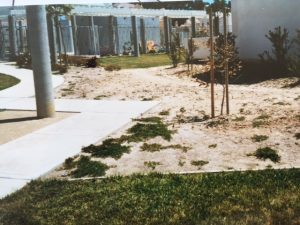 Looking across what would become the playground, towards the pool/hot tub. Palm Plaza in its infancy: looking from the hot tub towards the 920s. 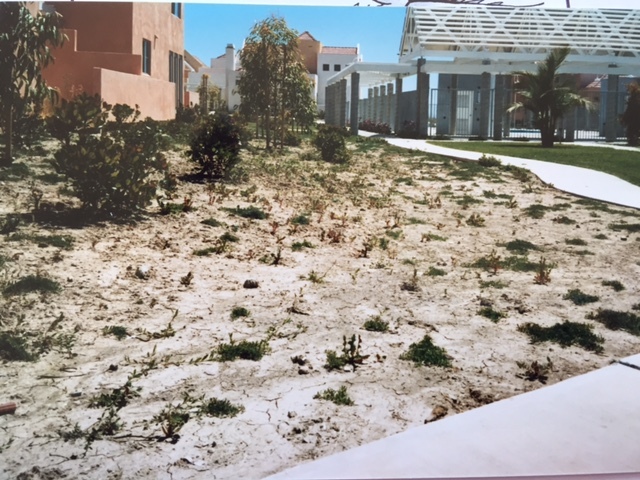 Unidentified area of original landscaping–lots of weeds!